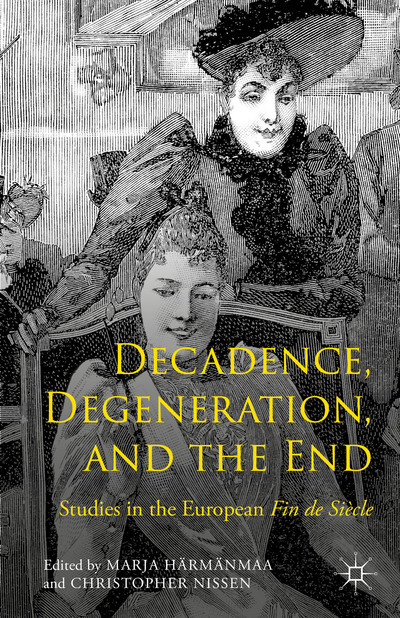 My chapter, “Thermal Degeneration: Thermodynamics & the Heat-Death of the Universe in Victorian Science, Philosophy, & Culture” leads off this new book from Palgrave. Many thanks to the excellent editors Marja Härmänmaa and Christopher Nissen! Visit the Palgrave page for more information. And click here to buy it on Amazon. This entry was posted in Publications, Research and tagged Decadence, History and Philosophy of Science, Physics, Publications, Thermodynamics. Bookmark the permalink.